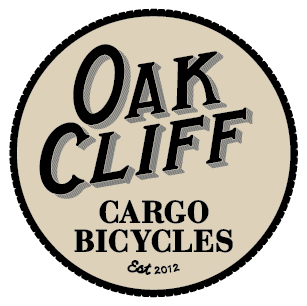 This past weekend, Oak Cliff Cargo Bicycles rode around to various destinations in Oak Cliff, shooting professional photos with photographer Brandon Schrader. Brandon is an avid cyclist and graciously helped our start up business out by producing these great shots of two of our models, a Bonnie and a Stevie. Enjoy! Previous Previous post: A Bonnie build… See the finished product this weekend! Next Next post: Attending the White Rock Local Market this Saturday!